One of the latest cigars to come from our friends at EO Brands, Erik and Eddie put out a full body and full flavor BOMBA! Made at the My Father Cigars factory in Esteli, Nicaragua with 100% Nicaraguan tobacco, the cigar features a pig-tail, reminiscent of a little firecracker...which is exactly what this cigar is! Sake bombs for everyone! If I only had a dime for every time I shouted that in a crowded bar in college. Well now I can shout it again but this time it would involve passing out delicious cigars. The all-new 601 La Bomba Sake Bomb is a 4.5x42 petite stick that packs a huge punch! This Nicaraguan puro features some of the strongest tobacco on earth yet also satisfies with luxurious leathery tobacco flavor and a peppery finish that's sure to grab your attention. 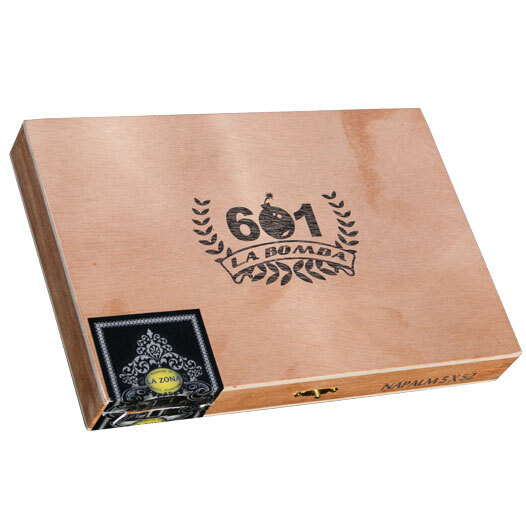 The 601 La Bomba Sake Bomb comes in a 10 count box and it's the perfect addition to the La Bomba line from Espinosa Cigars. Finally a small cigar that features full flavor, full strength, and best of all full satisfaction. Make sure to stock your humidor with a row of Sake Bombs so that you will be prepared for every occasion.